And it is true that without the connections I’ve made through social media, I might still believe that racism was on the ropes, a thing of the past, or at least, little more than a nuisance in the lives of people of color. Like you, Thief, I live in a predominantly white area of little country towns, of pickup trucks and church suppers. But, most likely unlike you, I have had access over the past two years to the voices of many people of color… and I’ve been listening as they tell me stories that have ranged from continual small incidents of harassment, through full-blown, life threatening acts of outright bigotry. It turns out that racism isn’t dead–it isn’t even sick. And I, at least, might never have grasped that without the help of social media. Still, there are limits to what I can do through social media. And it would be easy for me, one middle-aged white lady, working a fifty-hour week, living in a small-town backwater, to feel that my efforts against racism are too small to count. 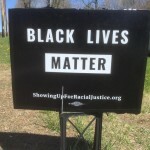 It would be easy for me, given the unslowed flood of news stories about racism and my frustrating lack of access to big cities and large protests, to feel that simply talking about racism–wearing a button, putting up a sign–is useless. Is there any point in doing the small things I am able to do? You have made sure I know there is, my friend, and for that, I thank you. Every sign stolen or vandalized is like a message in a bottle from you. 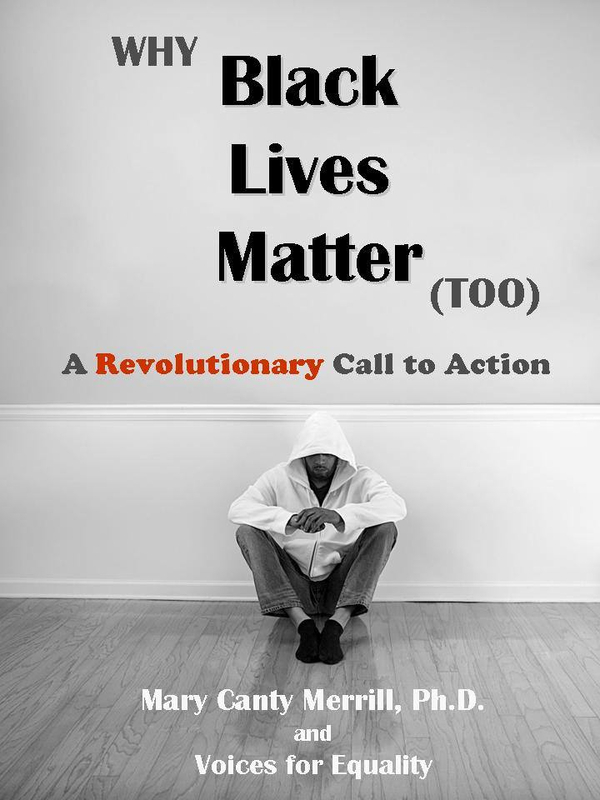 I keep telling you that black lives matter… you keep telling me that you hate hearing that. You keep telling me you need to keep hearing that: that deep down, you know what I have learned, that in our society, black lives are not given the same value, the same respect as white ones. You keep telling me that this message is effective, that it makes you angry and defensive enough to get out of your car or truck in the middle of the night on my high-traffic road, risking a collision, just to communicate with me. Since you began your campaign of destroying my signs, I have taken to ordering replacements in packs of ten. I give away the ones I don’t use myself. I estimate I’ve given away forty or so at this point. I’ve joined an online group of other folks, like me, who for reasons of geography, health, or schedule, find it difficult to participate in traditional forms of activism. We make Black Lives Matter buttons to give away for free to or at cost to activists who want them, and we have raised travel money for black-led protest organizers, and for bail money for black activists who need it. 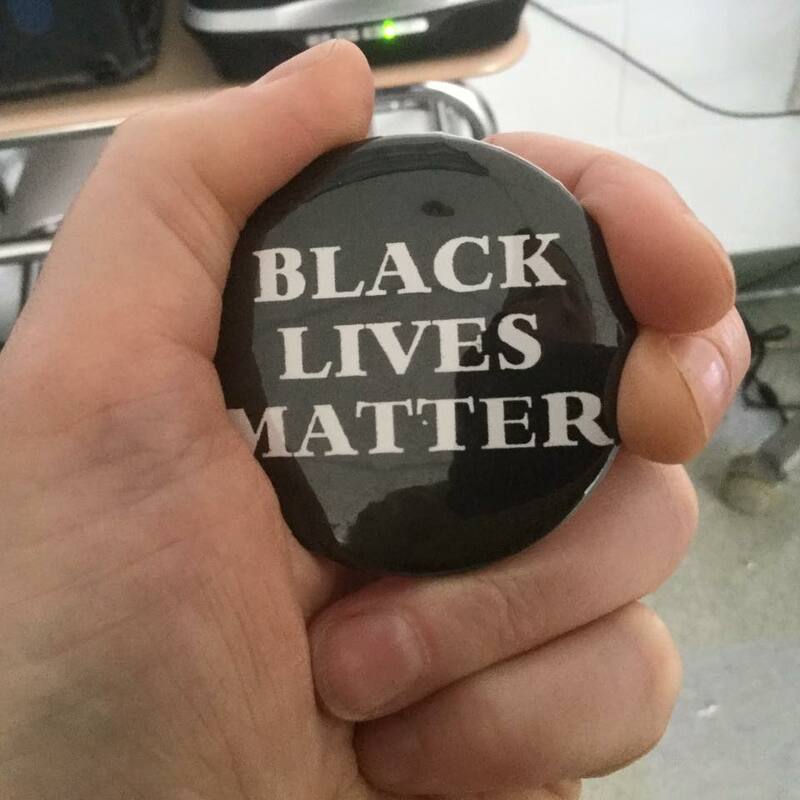 I’ve begun wearing one of our buttons to work every day, to the high school where I teach. This has led to a number of productive conversations with students and with staff, as you’d imagine. Now, these are all small things–tiny, even. But they’re not nothing, and I find myself engaging in them with increasing determination over time. I owe much of that determination to you. Every time you steal a sign, you show me that you are paying attention. Forgive my wordiness, my friend. 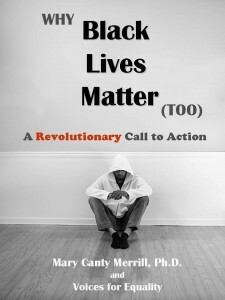 In truth, nothing I say can rival that original message, the one that means the most to you: Black Lives Matter. Don’t worry. I’ll keep sharing that one with you, until one day, perhaps you’ll be ready to hear.